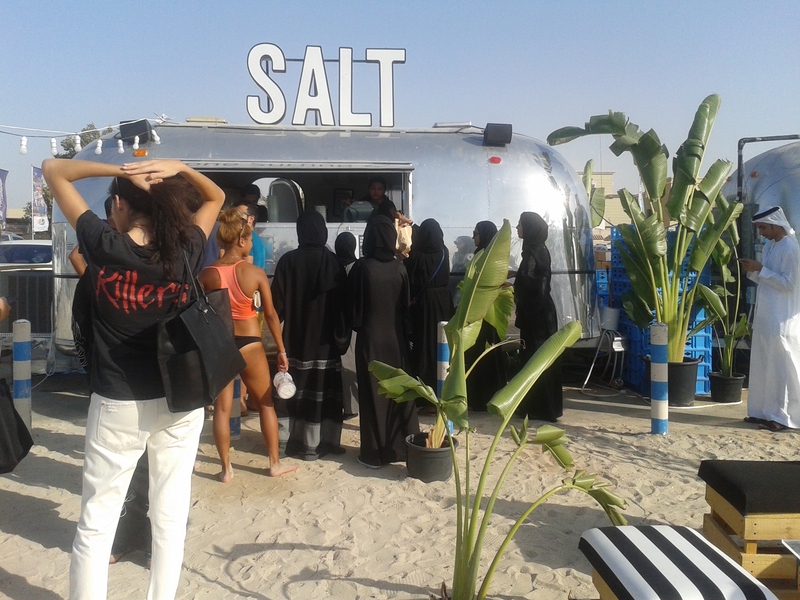 The food truck has come to Dubai. And I didn’t even try the burger. Later I found out they have 13,000 followers on instagram and like popular U.S. food trucks, you have to search them out. They use #findsalt. Kite Beach used to be quiet. 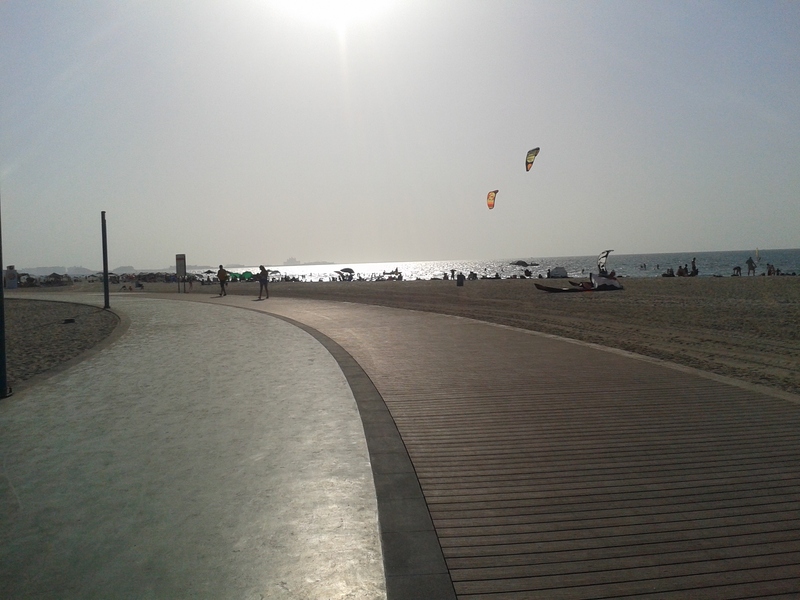 Yes there were kite surfers, kite flyers, paddle boarders and beach volleyball players, but it was calm. 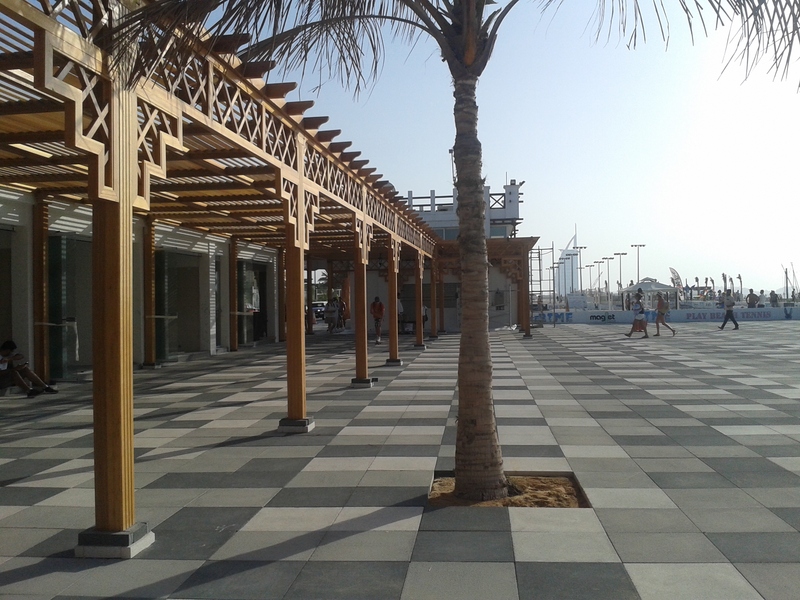 Much calmer than the super packed JBR. JBR is full of Jersey shore type dudes greasing their tans. I named them Gulf Shore and instead of “Gym Tan Laundry” it would be Gym, Tan, Maids, or Gold, or Lamborghini, or Ski Trips. Kite Beach is still quieter, but there is all this construction now. New shops were being built and a squishy, green running track had been installed, as well as bouncy slides. There was an Eid stage blasting “uncha uncha” house music. 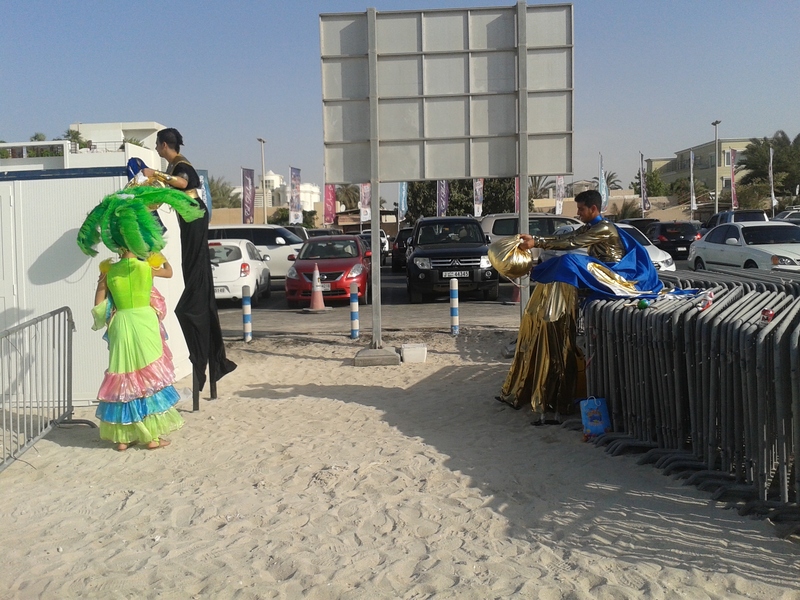 Near SALT, performers were readying themselves for a small parade. When I was younger, I was much more judgmental about books, music, movies, coffee…everything. Now I can enjoy things more. Like people in stilts making a small parade. I just started watching, more like binging, on the Sopranos, nearly a decade after it ended.I think I must have sounded like Meadow’s I know everything attitude plenty of times. Complete with eye roll. I used to be a vegetarian. Now I’m always on the lookout for the best burger and fries. Shake Shack, from New York and residing at Mall of the Emirates, has some of the best burgers. The meat is juicy and delicious, but I don’t like their crinkle fries. Belgian Beer Cafe has decent burgers, but I am not a fan of the thick cut fries. They can taste too raw. By the way, my Belgian friend says french fries should be called Belgian fries. She was very emphatic and said Belgians have much greater national pride in the creation of fries than in beer or waffles. Gourmet Burger at Marina Mall was awesome until they started messing up the orders and making those super skinny, stringy fries. Plus they are, of course, closed for construction. Burger Fuel on JBR, I’m sorry New Zealand, is terrible all around. There have been other disappointments. New York Fries has my favorite fries. They are actually a Canadian company famous for their poutine in Canada. The fries are the perfect not too thin, not too fat, skin on, flavorful kind. If I could combine the fries from New York Fries, and the burger from New York’s Shake Shack it would be the best. Maybe SALT will finally have the perfect burger and perfect fries together. Maybe more food trucks will be here soon.